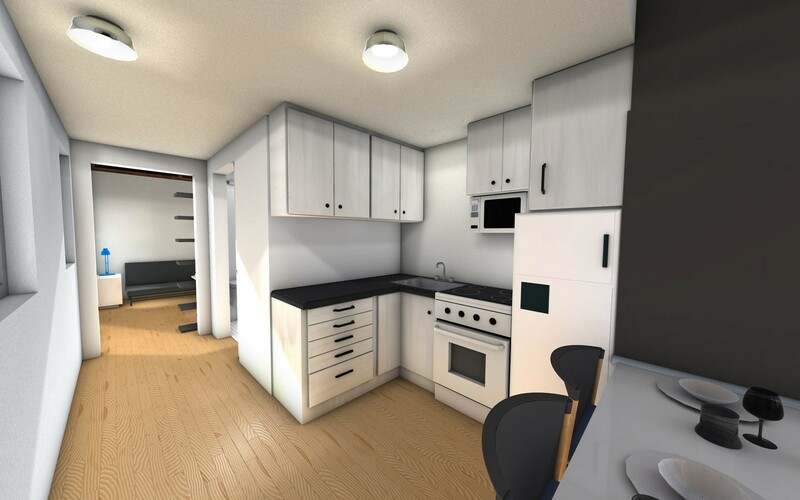 The sustainable, high performance TinyHaus will be built off-site and transported to the building site of your choice. 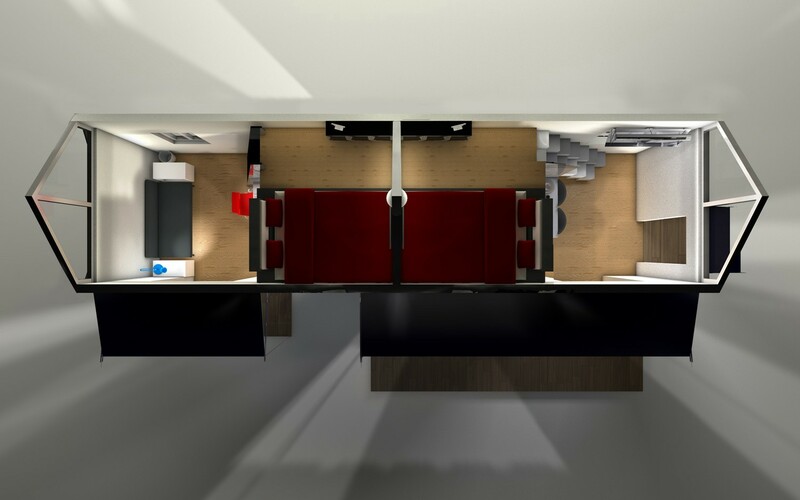 The modular homes are built in a controlled environment and then transported to the construction site on a steel chassis. There, they unfold and are installed on permanent foundations anchored into the building site. The structure is built to be airtight and super insulated. Advanced framing techniques and the latest efficient sealing and insulation materials will be employed to guarantee comfort control. Fresh air and Ventilation is controlled utilizing the conditioned energy recovery ventilation (CERV) system. Stale air is exhausted, fresh air brought in, on demand in perfect equilibrium and measure, at all the right locations. 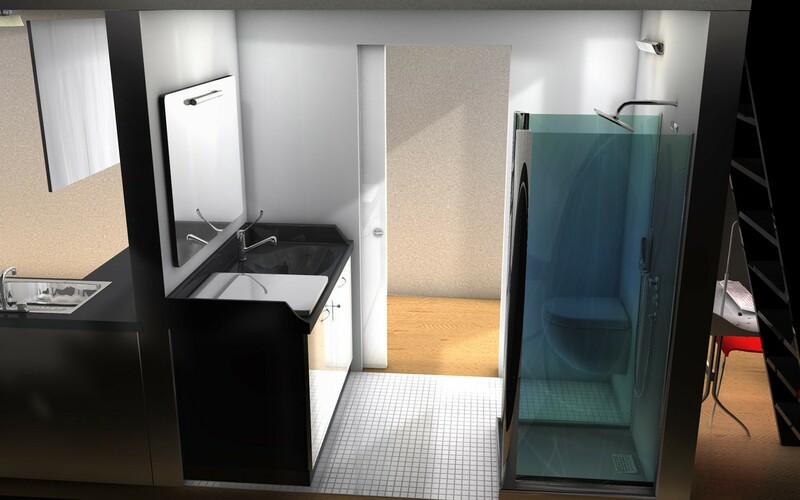 Heating and Cooling will be provided utilizing electric mini split heat pumps that work in conjunction with the CERV. Contaminants are minimized by using only zero-VOC materials and products for control of the air quality for occupant health. 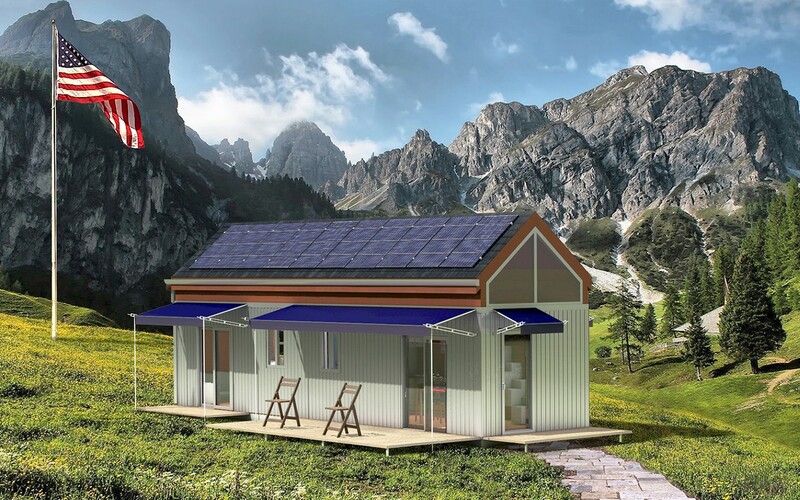 The TinyHaus will exceed all building codes in the U.S., and will accommodate off grid living utilizing the best renewable energy, rainwater harvesting and waste composting technologies available today. 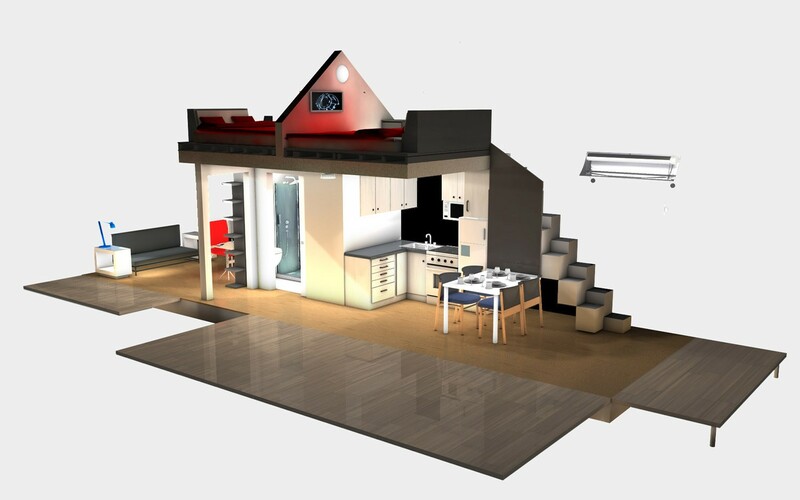 TinyHaus exemplifies the best that modern homes have to offer, with space-efficiency in mind. 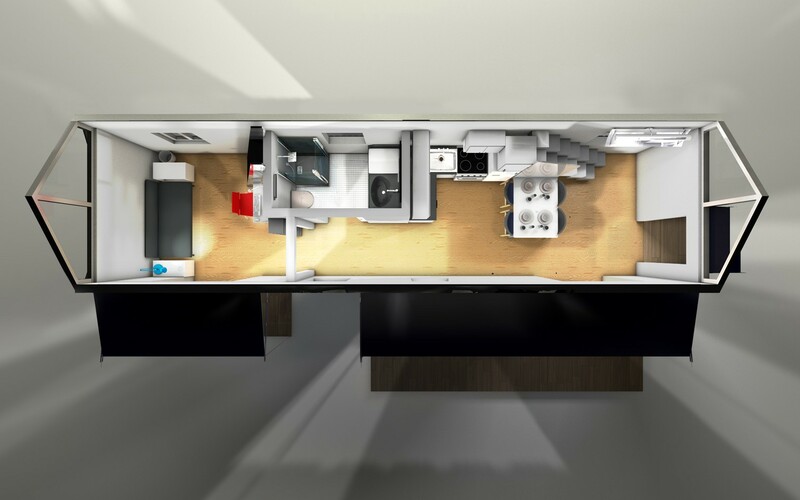 Through careful lighting design and unique space saving solutions, owners will be able to enjoy the comforts of home, the wonder of nature in a healthy, warm and whimsical home that can be tailored to your personal needs and relocated should that ever be required.